If you didn’t already know, Dane Dobbie finally started a Twitter account. Trying to keep up with the times and the youth these days, he supposes. 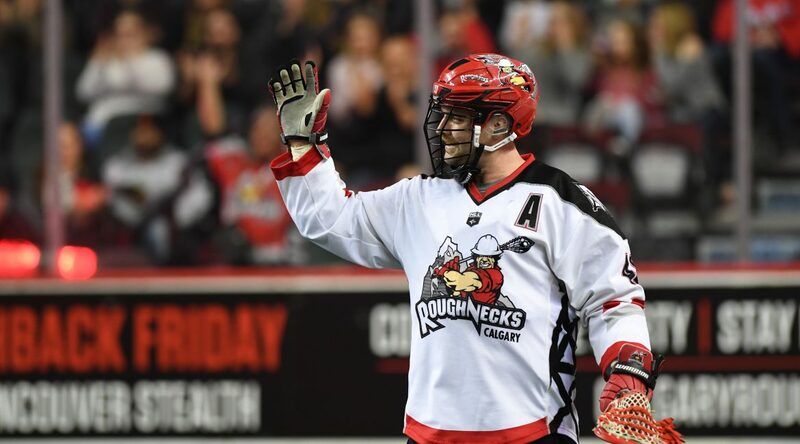 It’s a similar story for the veteran at this year’s Roughnecks training camp. A few roster changes are guaranteed, actually, especially with the additions of scorers Rhys Duch, Dan Taylor and Jesse King up-front. And with a condensed schedule to finalize a roster, it’ll be down to the wire for the offence to find that perfect balance. “It always takes time, it doesn’t matter who you are or where you come from,” Dobbie explained. Once they do find that chemistry, they should put a serious scare into the rest of the league. “I truly believe we’ve got something to prove this year,” said Dobbie. “We’ve been a team the last few years, where our defence would go, Christian (Del Bianco) would go, Frank (Scigliano) would go, and then all of the sudden our offence wouldn’t be. Not being one to mince words, Dobbie’s objectives for the season are uncomplicated. And with the addition of the San Diego Seals and Philadelphia Wings to the NLL this season, there’ll be a couple of extra obstacles. Dobbie is excited to visit both cities. So, be on the lookout for a few possible photos from his travels this campaign, if the Twitter account stays active, at least. “I thought I’d get Twitter for this year, we’ll see how it pans out – I’m not the best at it yet I don’t think,” he said. He is one of the best, however, at scoring goals. And that’s picture perfect for Roughnecks fans.